Step 1: Initial Evaluation | DE General is the Southeast region’s premier disaster restoration company for both commercial and residential losses. First the shock, then the action. 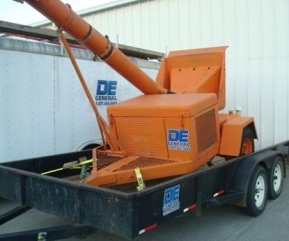 At DE General, we understand the toll that a disaster can take. Suddenly, everything has changed. We're ready at a moment's notice to respond and start the restoration process. It begins with hope. With over 30 years experience in disaster restoration, we have learned that the damage is often not as bad as you initially think. We've found that the most important thing you can do in the first few hours after a loss is to remain positive and optimistic. Once DE General is on the scene, our first objective will be to begin to reduce the amount of damage to your property. Then will rationally assess the situation and begin the process of giving you a realistic estimate and plan of action. To prevent further damage to your property, we'll take immediate action to have excess water removed, or to have protective coverings placed over exposed areas. We'll also arrange to have furniture, artwork and other valuable objects secured and, if necessary, removed to a safe location. Click here to complete and submit your Property Loss Notice online. Water is known as the universal solvent because it can dissolve granite and steel? Once water has escaped into a building it has the ability to corrode and magnify existing life forms such as mold, mildew and bacteria. It can cause wood products to crack and swell and short out circuits in electrical components.